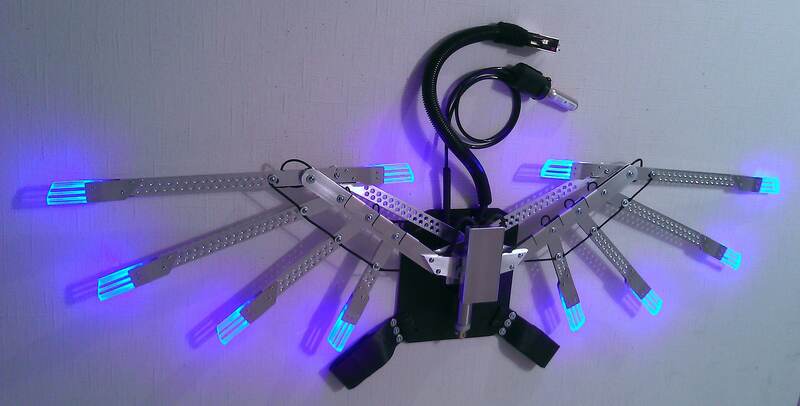 Bionic Concepts - Powered Mechanical Wings Version 1.5 with backpack and brilliant LED Light Effects!! Opens to 4.5 feet wide at the flick of a switch! Available in electric or CO2 powered versions. 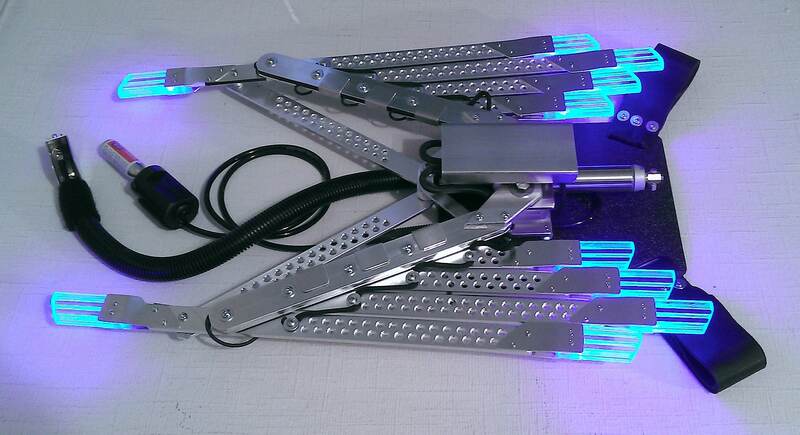 These wings are the most durable of our line of mechanical wings due to the almost complete aluminum construction. 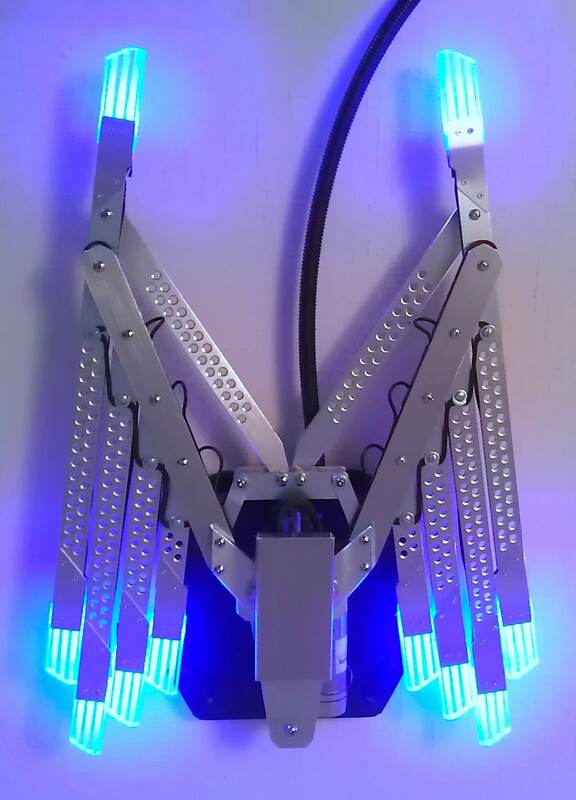 Wings are attached by 2 inch wide black leather straps with adjustable buckles and snap on connectors. With the wide straps the wings are comfortable and easy to put on and take off. Choose LED color and Electric or CO2 version. The main advantage to CO2 is speed. The wings will spring open and smoothly close shut. The electric version opens and closes slower. When you screw in a new cartridge you do not need to use the gas right away, you could wait a few hours before using the wings but do not leave them fully pressurized for long periods of time. To obtain cartridges find a local bike shop that sells “16 GRAM THREADED CO2 CARTRIDGES” or order them online. Check for shipping availability in your country. Sometimes companies will not ship CO2 cartridges over seas or across borders because they contain pressurized gas. A box of 20 CO2 cartridges can be bought for about $30 or less if you find a good supplier. WARNING: NEVER unscrew a CO2 cartridge until it has been fully depleted. They are one time use only and once the tip has been pierced by screwing it in, it MUST be completely depressurized or used up before removing. 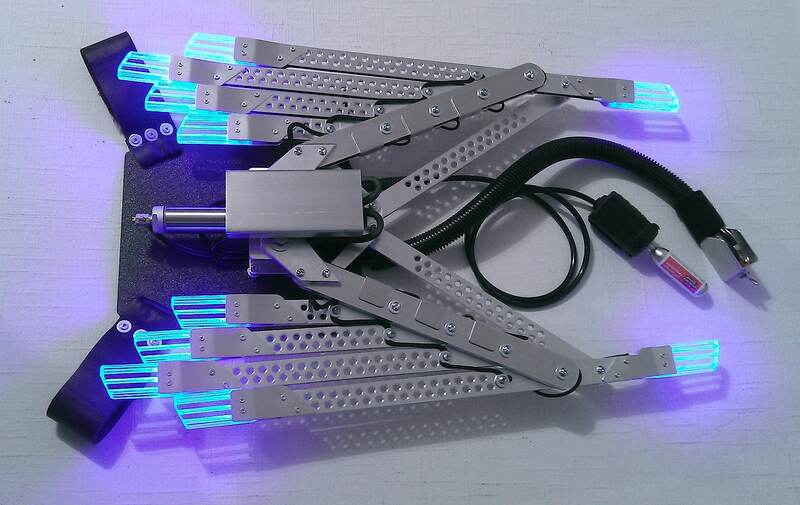 Electric version requires 8 rechargeable Nickel Metal Hydride AA batteries (NiMH). These types of batteries are commonly available everywhere. Any brand of NiMH AA batteries will work but 2000-2600 mah batteries last the longest (batteries and charger sold separately). 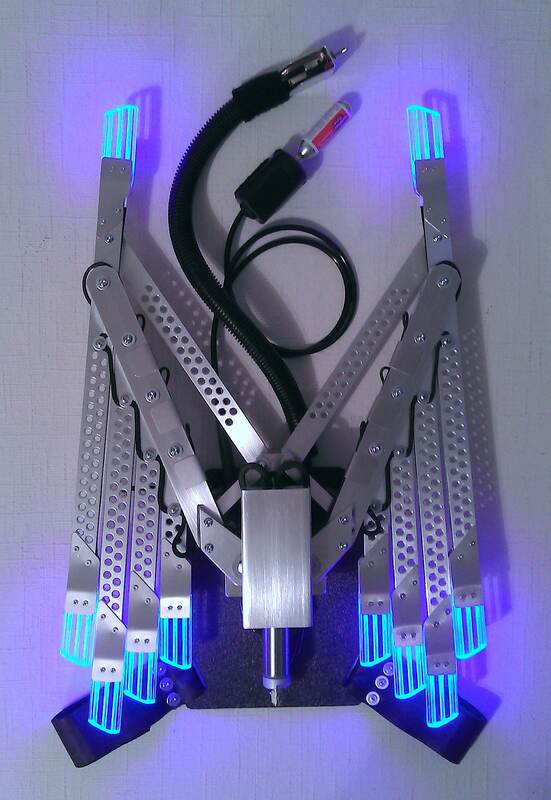 The wings are controlled by a hand held control pad. The electric version can work more than a hundred times before the batteries need to be recharged. The wings open smooth and steadily. 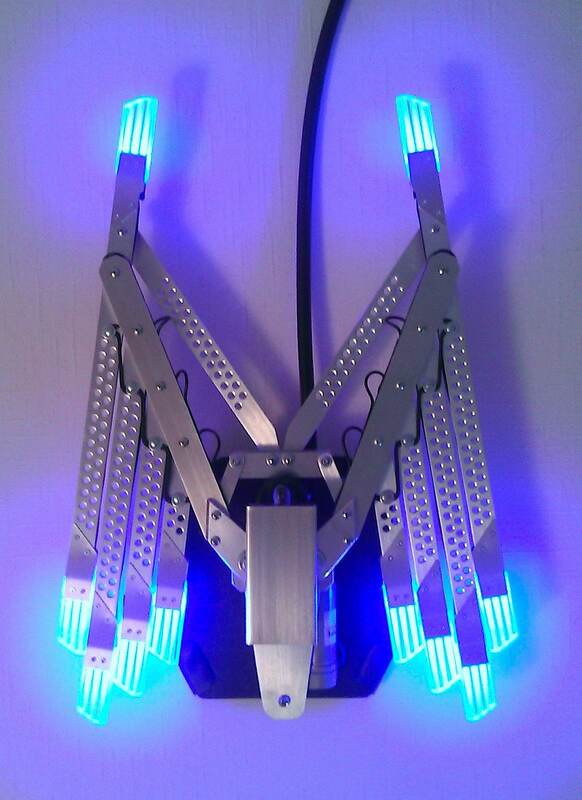 Both wings attach to your back with 2 inch wide black leather straps and adjustable snap on buckles. Options include: Electric or CO2 Version, and optional foam padding for $50 extra. Standard construction time is 1-2 weeks.